'Body shape calculators' is a top internet search and most of us have done that but without knowing your body type every search is incomplete. Every body has a basic body type and he/she should know that first before concluding your diet and exercise plan. 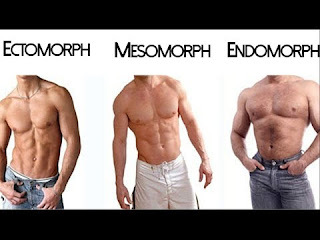 Basically there are three body types: Endomorph, Mesomorph and Ectomorph. It's not certain that you will resemble any one of them completely but you will be dominating any one of them. 1: A pear-shaped body having Wide hips and narrow shoulders. 2: Muscle and fat concentrated in the lower body. 3: Bigger rib-cage and wide bone structure. 5: Stores fat so gains weight quite easily but losing it becomes strenuous. Endomorphs can get good physique with proper dieting and workout. They should avoid high and moderate fat foods and stick to low carbohydrate foods and stop taking cold drinks. Stick to a good shoulders workout. Do All workouts with high intensity. 2: A naturally fit body, I can say with good shoulder to waist ratio. 3: Muscular body, wide shoulders. 4: Adopts an exercise and diet regime very easily. 5: Creatine works best on your body. 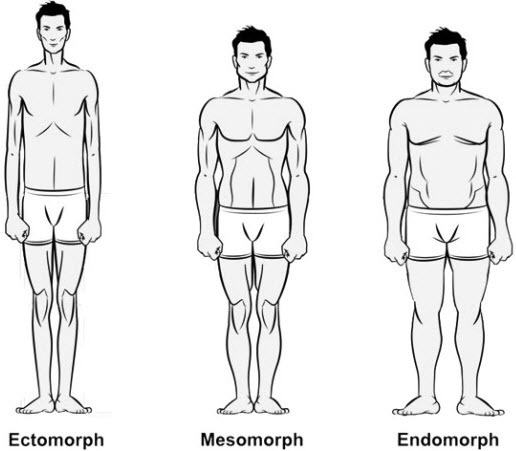 Mesomorphs are naturally fit in shape and size. Stick to a good and healthy diet to stay lean and muscular. Should train like an athlete and enjoy aerobics. Should eat a moderate amount of carbs. Train with moderate to heavy weighs and try different exercise plans for better gains. 1: A Pencil type body. 4: Thin and narrow chest and abdomen. 5: Longer forehead, Narrow hips and shoulders. Very hard to put on weight if you are an Ectomorph but don't worry and follow a high carb and fat diet with a proper exercise schedule. Try to train two parts in a day and do one part once in a week, Give rest to your body. Avoid isolation exercises and never follow the same routine longer than a month. Eat small meals for 5-7 times a day and take a good multivitamin. 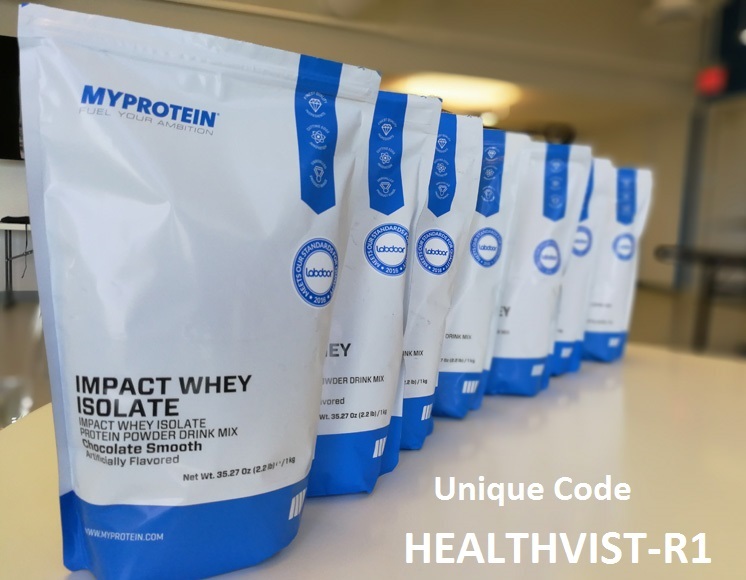 Increase daily protein intake to 1 – 1.5g of protein per pound of body weight. You may not resemble one body type always but have one with highest percentage dominating in your body type. 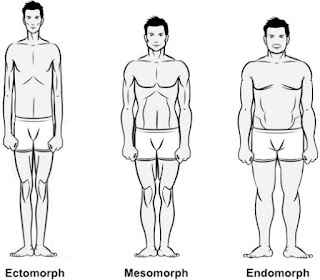 It may be Endomorph: 25% Mesomorph: 50% Ectomorph: 25% or any other but you should train your body according to the highest resembling body type. You are welcome Isha and thanks for visiting here.